This week my teaser comes from Lady Smoke by Laura Sebastian, the second book in the Ash Princess trilogy. I was planning to post my review of this today (I finished it late last night) but with a car that wouldn’t start I’m running a bit behind. It is a very enjoyable read and I think better than the first book. He looks at me like I’m his favorite book, one he’s read every page of too many times. One whose secrets he’s uncovered but keeps coming back for more anyway. 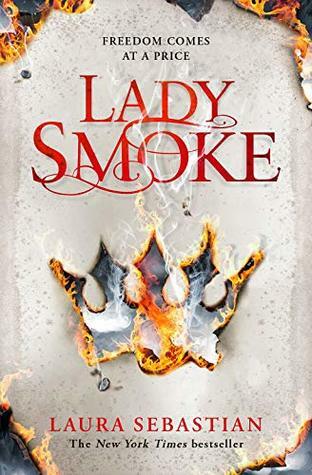 A tale of love, revenge, power and betrayal, Lady Smoke is Laura Sebastian’s epic fantasy sequel to the New York Times-bestselling Ash Princess.